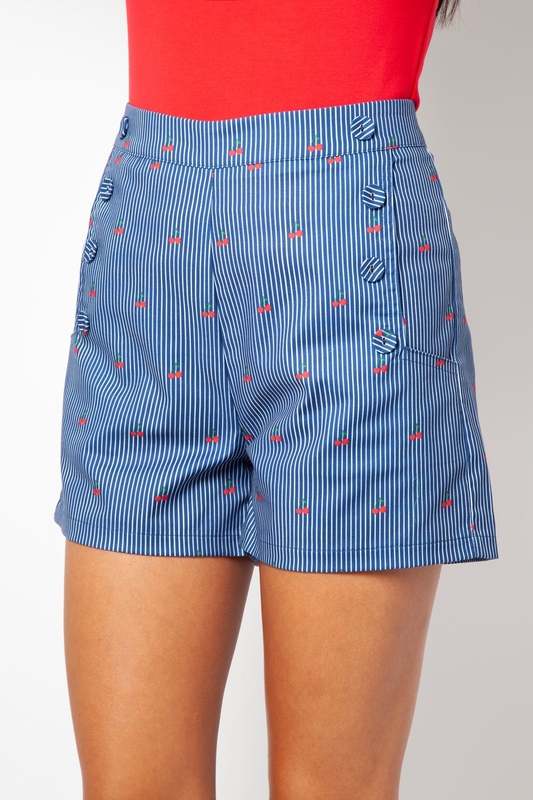 We cherry-ish these shorts so much, a nod to the nautical with blue and white stripes and a healthy serving of cherry embroidery detailing! A fruity nautical concoction - a Maritime Martini with a cherry garnish perhaps! Love the look? Check out the Bailey Cherry Stripe Jumpsuit!